If you are in Peterborough, Ontario, between now and the end of the year, be sure to stop by the Peterborough Public Library to visit the pop-up Bicycle Museum. The free exhibit showcases Peterborough's rich cycling history. On July 1, 1898, the first ever Canadian Wheelmen's Association (predecessor to the current national federation) held their first ever provincial meet, where nearly 7,000 spectators watched penny farthing bike races. 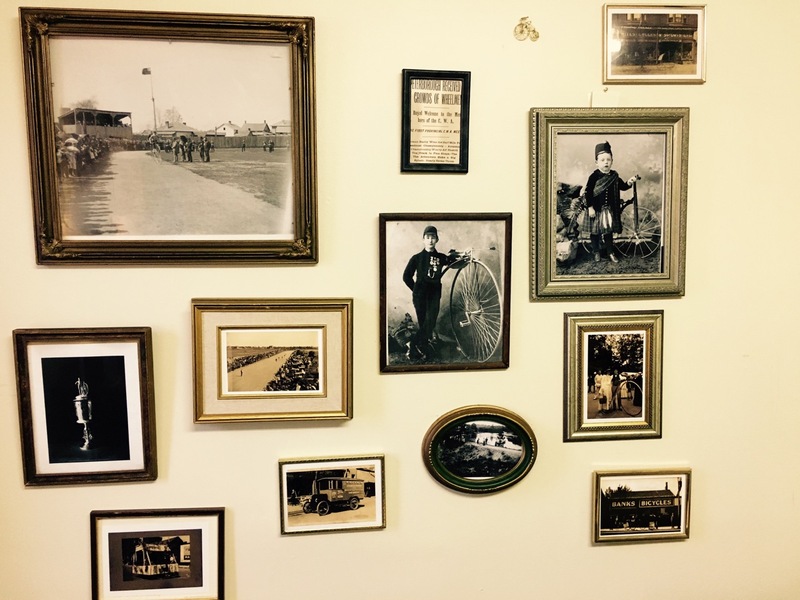 Images from the Peterborough Museum and Archives detail the rich cycling history of the region, along with photos from the family of the early White's Cycle and Sporting Goods retailer. "Peterborough has a long tradition of cycling excellence and that tradition needs to be acknowledged - and it needs to continue," says Tammy Thorne, the creator of TheBicycleMuseum.ca and the subsequent pop-up exhibits in Peterborough. "There's so much heritage that needs to be preserved in Peterborough - and it's not just buildings, there are many great stories from this city's illustrious industrial past that need to be told, and cycling is just one part of that," says Thorne, founding editor of Toronto's arts and advocacy magazine for cyclists, dandyhorse. For more information, visit thebicyclemuseum.ca.